You can always rely on Los Angeles Chrysler Dodge Jeep Ram for top-quality automotive services. Many customers put their trust in our Service Center for all of their maintenance & repair needs in Los Angeles, Huntington, and Lynwood. You should never leave your vehicle in the hands of any average mechanic when you have access to the region’s best team of certified expert technicians within driving distance. Our Chrysler Dodge Jeep Ram technicians have years of experience, extensive automotive training, expert knowledge, and access to computerized equipment to keep your vehicle in tip-top shape for many years of happy driving. The truth is that routine maintenance is the best way to make sure that your vehicle runs efficiently and is as safe as possible every day. 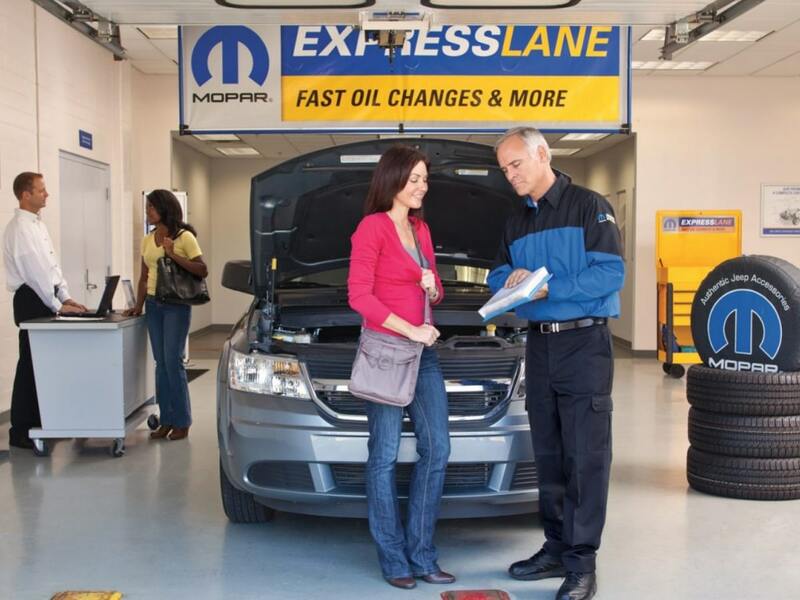 The Los Angeles Chrysler Dodge Jeep Ram Service Center is equipped to provide any essential maintenance service such as oil change, brake inspection & repair, tire rotation & balancing, transmission, tune-ups, and so much more! We also provide peace of mind and warranty coverage for genuine manufacturer-approved parts and fluids installed on your vehicle. If you are ready to get the best automotive services in Los Angeles, then invest the next few moments scheduling a service appointment to have one of our certified technicians provide your service. If you have any questions about your Chrysler Dodge Jeep Ram or its service, contact us to speak with a service advisor about your situation.